The company said that drilling confirms a further high-grade and thick intercept, extending mineralization to the northwest at Rupice. Adriatic Metals (ASX:ADT) has announced that it has received assay results from three drill holes from the current program at Rupice in Bosnia and Herzegovina. 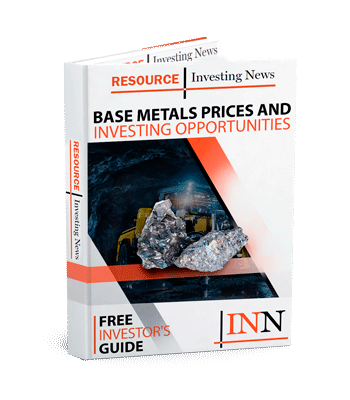 Drilling confirms a further high-grade and thick intercept, extending mineralization to the northwest at Rupice, with BR-8-18 returning: 16m at 1.6 grams per tonne (g/t) gold, 136 g/t silver, 1.1 percent copper, 4.0 percent lead, 6.5 percent zinc and 10m at 51 percent barium sulfate from 206m. BR-7-18 confirms mineralization continuity 50m up-dip of BR-2-18 returning: 18m at 2.6g/t gold, 201 g/t silver, 0.5 percent copper, 4.5 percent lead, 9.2 percent zinc and 62 percent barium sulfate from 228m. Drilling continues on schedule with 4 rigs in operation.